What types of face wrinkles do you have? Face wrinkles are on the most visible and common signs of aging. Since they are such a common problem, many anti-aging treatments are designed for the treatment of face wrinkles, reducing their appearance and slowing the increase of wrinkles. By keeping the skin youthful and elastic, these treatments, especially anti wrinkle creams, target the specific problem areas where different types of wrinkles tend to appear. One of the first places where face wrinkles begin to appear is as eye wrinkles. As the skin loses elasticity, the skin of the face begins to sag, and the area under the eyes is especially vulnerable to this decrease in elasticity. At first, it may appear as though a good night's sleep is all that is needed. Eventually, however, it becomes apparent that the sagging under the eyes is not due to lack of sleep, but rather loss of elasticity in the skin. This presents as heavy bags beneath the eyes, often surrounded by deep face wrinkles that are impossible to hide with make up or other cosmetic tricks. Crow's feet are also one of the earliest types of face wrinkles to appear in the face. Since the area around the eyes is so mobile when it comes to laughing, smiling or making other expressions, it is impossible to avoid wrinkles and small lines that will appear at the corners of the eyes. Initially only visible when laughing or smiling, these small lines stop disappearing when the face is at rest and instead are a permanent feature of the skin around the eyes. These crow's feet tend to be among the first signs of aging. 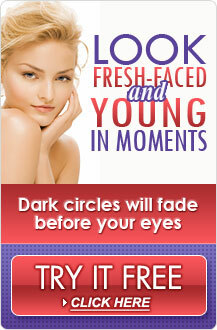 Crow's feet can appear as early as the middle thirties and are also among the most treatable forms of facial wrinkles. Like the skin around the eyes, the skin around the mouth is very mobile. Laughing, smiling, frowning and even just talking take their toll over the years on the skin around the mouth. As skin loses its elasticity, gravity begins to pull the skin around the mouth downwards, creating deep lines shaped like parentheses around the mouth. Treating these face wrinkles around the mouth is difficult at times, since many think that cosmetic surgery is the best option. While cosmetic surgery may have temporary positive results, it is impossible to keep the area around the mouth still, the effects of cosmetic surgery for treating these wrinkles may not last. Forehead lines are a characteristic type of face wrinkle that happens as we age. Again, this has to do with the fact that the skin of the face is so mobile over the muscles that are used to display emotions and feelings. Some people opt to inject paralyzing toxins into the skin of the forehead to paralyze the muscles to keep the skin from moving and thus preventing the appearance of these face wrinkles. Treatments such as BOTOX® Cosmetic are expensive, can be painful, and need to be repeated periodically. With all the different types of face wrinkles that appear as we age, choosing a treatment method can be difficult. Cosmetic surgery is always an option, but results can be unpredictable, not to mention costly and painful. Additionally, cosmetic surgery can remove the signs of aging that are present, but cannot actually stop the process of aging. This is why the best treatment for face wrinkles is a quality anti-wrinkle cream. Many anti-wrinkle creams are available and much less expensive than other options, including surgery. Several anti-wrinkle creams contain superior ingredients proven to be effective. To learn which anti-wrinkle creams are top performers, read our reviews.